The business meetings are a wild world full of dangers and amazing opportunities. People should be prepared for any stressful scenarios where clients are dissatisfied with the way a product is presented or, on the contrary, the outcomes are insightful and open the way to work promotions. No matter the extreme scenarios a business meeting can have, the image of the participants should always be impeccable. People in a business meeting are working on gaining trust in each other through strategies, research, negotiation, but also through attitudes. While the approach is unique for every kind of meeting, the dress code for men is the same every time and should be respected step by step. One badly mix of colors could mean losing interest from the meeting partners. The next five business meeting looks for men will shed light once and for all over the strict rules of a man’s professional wardrobe. This attire is the definition of dress for success. 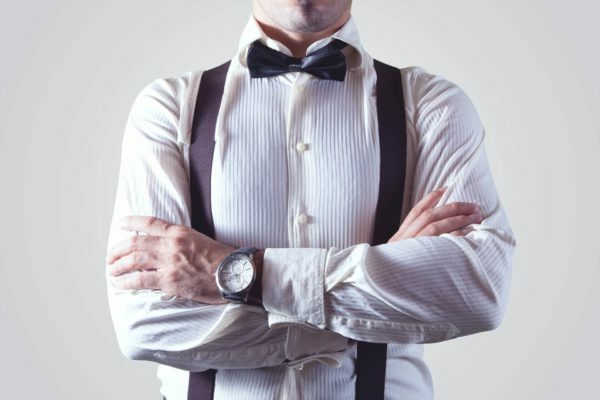 While the modern companies are adopting a more casual style (look at Mark Zuckerberg and his eternal blue jeans and grey t-shirt), the dress code of the business suit is still ruling the world of business. So, when men are not sure how their meeting partners are going to determine the style of the meeting, it is best to stick to overdressing. The worst case scenario that can happen during a meeting is being the worst dressed person in the room. The brown shoes go only with the blue, mid-gray, and brown suits. Exceptions exist even for the stack business costume, but they are usually executed by men with an exquisite taste and vast experience in dress code. The good news is that as long as men respect the color etiquette of the business suit, they have nothing else to worry about. The velvet coat will make the owner the main focus of any business meeting if worn appropriately. The velvet coat keeps the man in the professional world, but it also gives a classy look that conveys power and strength. Such a piece is paired with different material of trouser bottoms such as wool, cotton or even corduroy. There is a certain freedom of choice when it comes to the color of the shirt, but the basic rules are for it to have a light nuance. The safe choice is a white dress shirt, while colors of light blue, pink or peach are also acceptable. The business casual suit is a mix of formal and casual pieces of clothes that send a message of a relaxed yet self-confident attitude. The safest combination is a gray tweed blazer with a light colored button down shirt. The pair of jeans that represents the casual part of the attire shouldn’t any kind of pants, but raw denim jeans. Light colored sports shoes are acceptable for the smart casual look, but if you are comfortable with some brown penny loafers, by all means, match them up with the whole outfit and rock that business meeting. This type of style makes a greater connection between the relaxed and personal style with the working environment from the office. The tie here has no place for the happiness of most men. The best men can do for this area is bringing a scarf if the weather permits. This attire doesn’t require a blazer either just a good combination between a polo shirt and some nice khakis. Once again, dress shoes are required for a professional look, and the loafers should always be present with the business casual suit. The belt should always match the shoes and if possible, with a professional wrist watch. The outfit can be completed with a personal touch showed through accessories, like some durable leather & canvas messenger bags for men. If the business meeting is conducted in a relaxed and personal environment for the other participants, especially if everyone is acquainted with each other and are even friends, the rules can be bend, allowing a more personal dress code. Men can wear the polo shirt with the company logo on it, especially if their main mission is to sell some products to their clients. The outfit can be completed with a pair of dark colored Dockers and a sports jacket. The accessories from a man’s wardrobe are acceptable of course to lend a personal touch to the entire outfit. So, these are the five business meeting looks that every man should be aware of before entering any meeting room.